The BTR-60PB armored personall carrier was converted into an air defense command vehicle and used by units equipped with ZSU-23-4, SA-9 or SA-13 air defense systems. The turret was removed and the vehicle was fitted with the AMU telescope mast on the right side of the front hull roof and an electrical generator on top of the blanking plate. 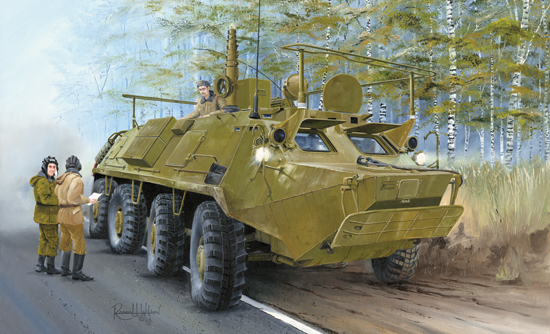 The BTR-60PU is equipped with the 1G13 gyroscope, the KP-4 navigation apparatus and the ASPD-12 computer. 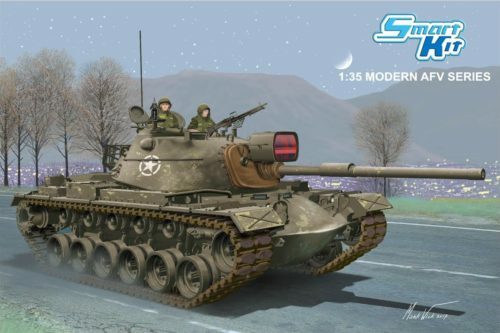 Often, the BTR-60PU is connected to a radar and the radar image is directly visible on the vehicle’s IT-45 monitor. 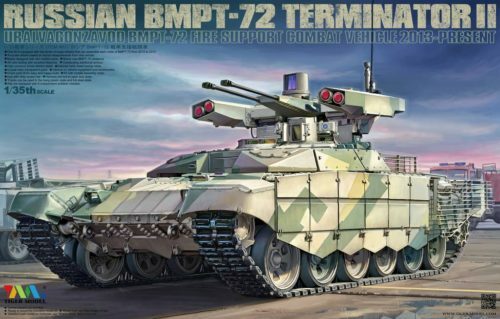 BTR-60PU can process up to 12 targets. The BTR-60 is the first vehicle in a series of Soviet eight-wheeled armoured personnel carriers (APCs). 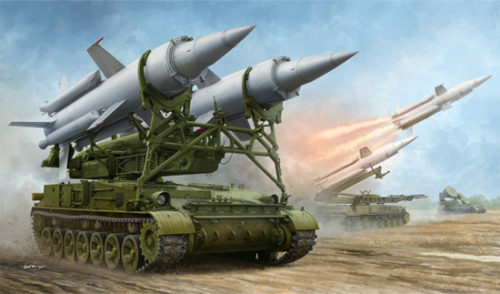 It was developed in the late 1950s as a replacement for the BTR-152 and was seen in public for the first time in 1961. 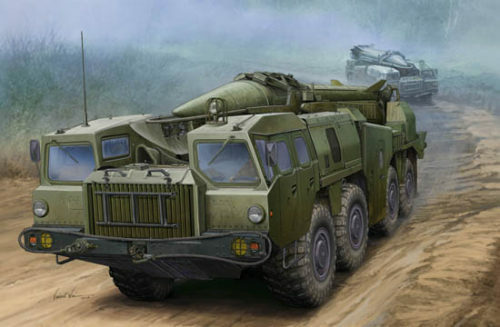 BTR stands for Bronetransporter (БТР, Бронетранспортер, Russian for “armoured transporter”). The BTR-60P, entered service with the former Soviet Army on December 13, 1959, with mass production beginning in 1960.